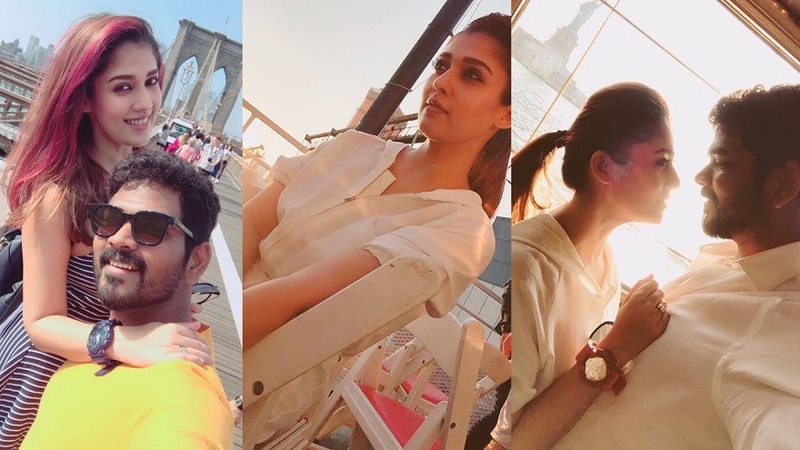 South Indian Star Heroine Actress Nayanthara getting Marriage Soon. Her Wedding Bells going to ring soon the situations seems to be like this. Actress Nayanthara who is well known and famous Top actress in South. She did many films in multi languages like Telugu, Tamil, Kannada and Malayalam in South. Nayan started her Movie Career with Malayalam Movie in 2003. She built Strong impression in Hearts of South Audience. Now a days Actress means just seems in 2 or 3 movies only and hardly doing 10 movies in their career. But Nayan is different from others it’s been 15 years almost that she started her career in Movie Industry. She played opposite to all Top heroes in all South Indian Languages. Still Nayanthara Continuing her Charishma in Film Industry means it’s her performance and talent. Nayanthara so called to be a Lady Superstar in South Indian Cinema. Now she is getting married soon and her wedding bells are going to ring with Tamil Director Vignesh Shivan. Nayan love tracked with Tamil Hero Simbu and Indian Michael Jackson Prabhudeva. Those all which turns up into a breakup. don’t know What happened to Nayanthara all of sudden she fall in love with Vignesh Shivan news trolling in media for a long while. None of them in both opposed the news in front of Media. The Latest News Trolling in Media is that Nayan gifted a costliest Car to Vignesh on his Birthday Occassion. Not only this when ever they got a chance sharing pics of them on social media which indicating and confirming that these couple are in love. In recent times a news trolled on Social Media that the Nayan – Vignesh couple got married secretly in Cochin. But the news which comes out is fake confirmed by the couple. There is no truth in the news and still they are bachelors. Now The latest buzz is they are going to marry very soon. Same thing Nayan – Vignesh going to announce officially soon in front of media. After marriage they are going to settle down and start a New family life in Chennai as well, which is news trolling in media.